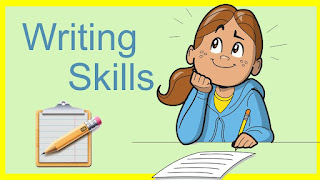 Writing is a form of Communication that allows Students to put their feelings and ideas on Paper, to organize their knowledge and beliefs into convincing arguments, and to convey meaning through well-constructed text. In its most advanced form, written expression can be as vivid as a work of art. As children learn the steps of writing, and as they build new skills upon old, writing evolves from the first simple sentences to elaborate stories and essays. 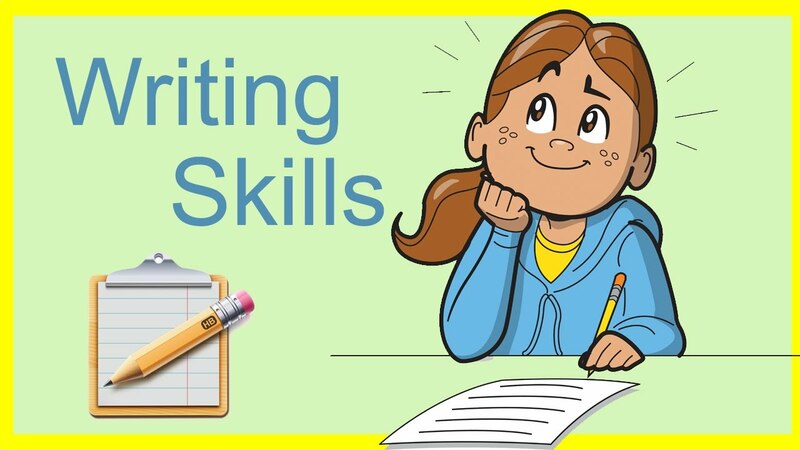 Spelling, Vocabulary, Grammar, and Organization come together and grow together to help the student demonstrate more advanced writing skills each year. Good Writing skills are essential for effective Communication. The better you write, the more easily readers will understand you. Learning to write well takes time and practice. It has been agreed that writing is a means of Communication made possible through Graphics symbols, arranged according to certain conventions to form words which in turn are arranged to form sentences. The sentences are Logically and Grammatically connected to form a piece of writing. It is Suggested that both Writers and Readers must respect the writing conventions in order for communication to take place. Writing has its conventions for Spelling, for Punctuation, for Grammar, for paraphrasing and capitalization. There are more than one convention for arranging words grammatically and meaningfully into sentences and conventions about how sentences themselves are interrelated. Thus an effective piece of writing request a number of things Including the graphic systems of the language. For a natural piece of Writing coherence and cohesion are also extremely important features. Coherence is the thread or the theme of the writing that keeps the text together and cohesion is part of the system of the language, expressed partly in grammar ad partly through vocabulary. Cohesion is also expressed in other features such as punctuation and intonation. In everyday Conversation we make all kinds of points or assertions in written form. 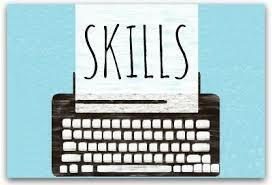 To communicate clearly and effectively we need to learn, practice and apply writing skills. During the process we may discover that we have a positive attitude about writing. However, even if we have mixed or negative feelings, we are probably now more aware of the fact. Such awareness can be a vital first step in changing attitude. Writing involves knowledge of the writer and its purpose. Lack of knowledge will make it difficult to write well. Writing is the real test of one’s linguistic abilities whereas in speaking a speaker can take help from paralinguistic devices. Similarly a non-native person will not have the same range of lexical and syntactic choices available and may find it difficult to write as compared to a native person. Cognitive factors relate to the interest in the specific writing task. Writing without a purpose or audience i.e. artificiality of the writing task makes writing an unpleasant job. Writing is an extremely complex undertaking with a number of operations such as generating ideas, planning and outlining, drafting, revising etc. At any time a line can be erased, a page thrown away, and even sometimes everything that has been written can be changed, added to, and deleted from ad put into a completely different order. Writing is thus viewed as a series of overlapping and interacting process. a. Pre-writing - Pre-writing is preparatory stage and involves thinking, reflecting and planning about what can go on. b. Writing - Writing is the Real act of putting ideas to pen, translating images into meaning. It is a process of discovering and exploring ideas and putting these on paper. c. Post-Writing - Post Writing is written, it needs reading, reviewing and editing to be modified and polished. Communication consistently ranks among the top five soft skills employers look for when choosing new hires. And in a world where face-to-face is becoming less and less, that communication more often occurs through the written word. If you want your business to succeed, make certain you and your employees have a firm grasp on the written word. It does not matter if you are selling the finest new widget or a landscaping service, the details of what you do matter. And they need to be in writing. When you place an order for parts, that order has to accurately reflect the parts you actually need. If you send instructions to the manufacturing team, the process needs to be well - documented. Service Companies also need written contracts that detail what they will do, how they do it and by what date. Without clear, well-written documents, there is sure to be miscommunication that can cost your company money and even its reputation. The Workers making your products or delivering the services you provide need to be assured of a safe work environment. That’s why an employee handbook is an important written tool. Everyone needs to know the rules and procedures they must follow to stay safe. They need guidelines on what to do in case of an accident or emergency. The written handbook protects your staff and it also protects you in the event of a lawsuit. The best administrative assistants are good writers with a strong attention to detail. 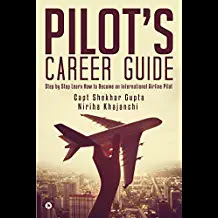 They catch type's in the CEO’s emails, proofread contracts, compare copies to original documents – all to make sure that the company chiefs are saying exactly what they mean and following through on their well-thought-out plans. 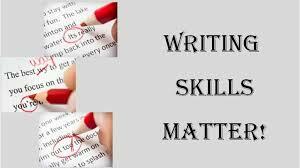 Writing skills also come into play as events and meetings are organized, planned and executed. The simple Confirmation email can mean the difference between a smoothly run board meeting or executives and staff showing up to the wrong place at the wrong time. 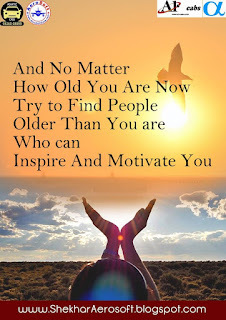 What’s your Story? At the heart of every good product is a great story that your customers will want to buy time and again. That’s where marketing comes in. Whether you are preparing packaging for products or writing the script to a television ad, you need compelling words that represent you well. And it’s not the quality of words that matters; it’s the point they make. Some of the best marketing campaigns of all time have had some of the fewest words. Some Offices insist on a paper trail of email communication to document every detail of a client interaction. The practice makes it less likely that there will be mis understandings. Even intra office Communication often occurs thorough email, but employees sometimes take to IMing one another or texting quick questions. Regardless of which device they choose, they are invariably writing out message's. Those who do it well also do their jobs better, because they are clear in their intentions, actions and follow-through. Expository writing's main purpose is to explain. It is a Subject-Oriented writing style, in which authors focus on telling you about a given topic or subject without voicing their personal opinions. These types of essays or articles furnish you with relevant facts and figures but do not include their opinions. This is one of the most common types of writing. You always see it in text books and how-to articles. The author just tells you about a given subject, such as how to do something. Usually explains something in a process. Is often equipped with facts and figures. Is usually in a logical order and sequence. 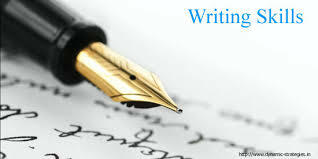 Descriptive Writing's main purpose is to describe. It is a style of writing that focuses on describing a character, an event, or a place in great detail. It can be poetic when the author takes the time to be very specific in his or her descriptions. It is often poetic in nature. 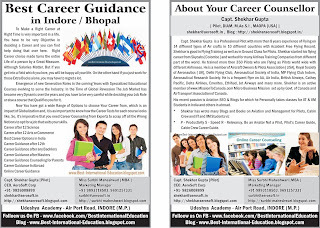 It describes places, people, events, situations, or locations in a highly-detailed manner. The author visualizes what he or she sees, hears, smells, and feels. Persuasive Writing's main purpose is to convince. Unlike expository writing, Persuasive writing contains the Opinions and biases of the author. To convince others to agree with the Author's point of view, persuasive writing contains justifications and reasons. It is often used in letters of complaint, advertisements or commercials, affiliate marketing pitches, cover letters, and newspaper opinion and editorial pieces. Persuasive writing is equipped with reasons, arguments, and justifications. In persuasive writing, the author takes a stand and asks you to agree with his or her point of view. It often asks for readers to do something about the situation (this is called a call-to-action). A person tells a story or event. Has definite and logical beginnings, intervals, and endings. Often has situations like actions, motivational events, and disputes or conflicts with their eventual solutions.